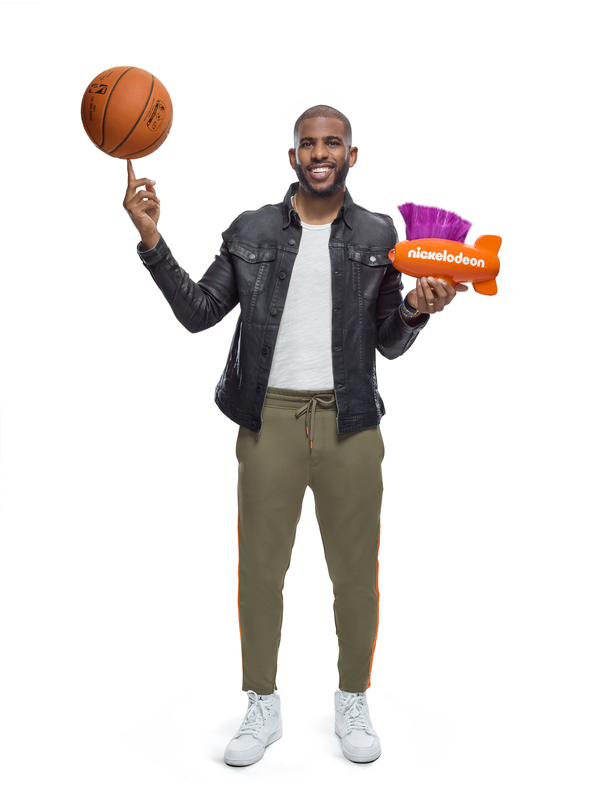 Article: Houston Rockets’ Point Guard Chris Paul Is Ready To Bring Some Slime And Sports-Filled Fun As He Hosts The 2018 Nickelodeon Kids’ Choice Sports! Mark your calendars as July 22nd is bringing some of the most iconic sports stars together under one roof along with tons of incredibly fun challenges and an epic amount of slime, slime, slime at the much-anticipated 2018 Nickelodeon Kids’ Choice Sports! This year’s brilliant award show is bound to be a memorable night as fans get to vote for their favorite athletes and the most unforgettable sports moments from this year. Nickelodeon just announced that a lot of excitement is in store as the one and only, skillful Houston Rockets point guard Chris Paul will be hosting the event. Every year, the Nickelodeon Kids’ Choice Sports honors a sports hero with the “Legend Award.” Past recipients include David Beckham, Kobe Bryant, Derek Jeter and Michael Phelps. Who will be this year’s “Legend Award” honoree? It’s up to you to tune in to the Kids’ Choice Sports to find out! Outstanding athletes who have been awarded with a coveted, mohawked blimp at the Nickelodeon Kids’ Choice Sports include Laurie Hernandez, LeBron James, Rob Gronkowski, Dez Bryant, Lindsey Vonn, Danica Patrick, Carmelo Anthony, Gabby Douglas, Alex Morgan, Dwyane Wade, Stephen Curry, Odell Beckham Jr., Mike Trout, Serena Williams, Usain Bolt and Simone Biles, among others. Nominees for the 2018 Nickelodeon Kids’ Choice Sports will be announced next month where fans get to vote for their fave sports stars to win big at the event. Check out the Kids’ Choice Sports announcement video about this year’s host below and be sure to tune in to the 2018 Nickelodeon Kids’ Choice Sports airing on July 22nd at 8:00 PM ET / PT, taped on July 19th at the Barker Hangar in Santa Monica, California. Previous VIPAccessEXCLUSIVE: Jadiel Dowlin Talks About Nickelodeon’s “Star Falls” In His Interview With Alexisjoyvipaccess! Next VIPAccessEXCLUSIVE: Covergirl Celebrates Its Fabulous Fall 2018 Collection At A Preview Event With Fun Photo-booths, Lip-stick Readings And More!